Many would regard a career reviewing all the latest films before they are publicly released as the “dream job”. But for Fr Peter Malone MSC, reviewing movies for half a century has been a special joy, in addition to his many other priestly duties. For the past 50 years, Fr Malone has shone a light on the diverse celluloid interpretations of the human condition, at times watching up to 10 new films a week or 120 films a year. At 79, Fr Malone is certainly not looking like slowing down, but found time to reflect on his ministry recently before jetting off to the Philippines to judge films at a local festival. “Because I’ve got the dream job I made sure over the decades that I had a full-time, practical job as well,” he laughed. Fr Malone began his somewhat unusual ministry with a review of To Sir With Love half a century ago for Annals Australia. In a time of public pressure on the priestly role, Fr Malone’s ministry is a dialogue between faith and movies, working with “secular” reviewers. His career has been one path to promoting the credibility of faith. Fr Malone’s work is not, as some assume, to censor films. Instead, as he was able to explain to Pope John Paul II, the Church’s cinema work is to support Catholics in the industry and to be a bridge between the Church and the professional world of cinema. Fr Malone’s list of achievements and appointments is a lengthy one. He headed the Catholic Film Offices of the Pacific from 1989-1998; was president of OCIC, the International Catholic Organisation for Cinema, from 1998-2001; and world president of SIGNIS, the World Catholic Association for Communications, 2001-2005. He is the Pacific representative to the SIGNIS Cinema Desk. 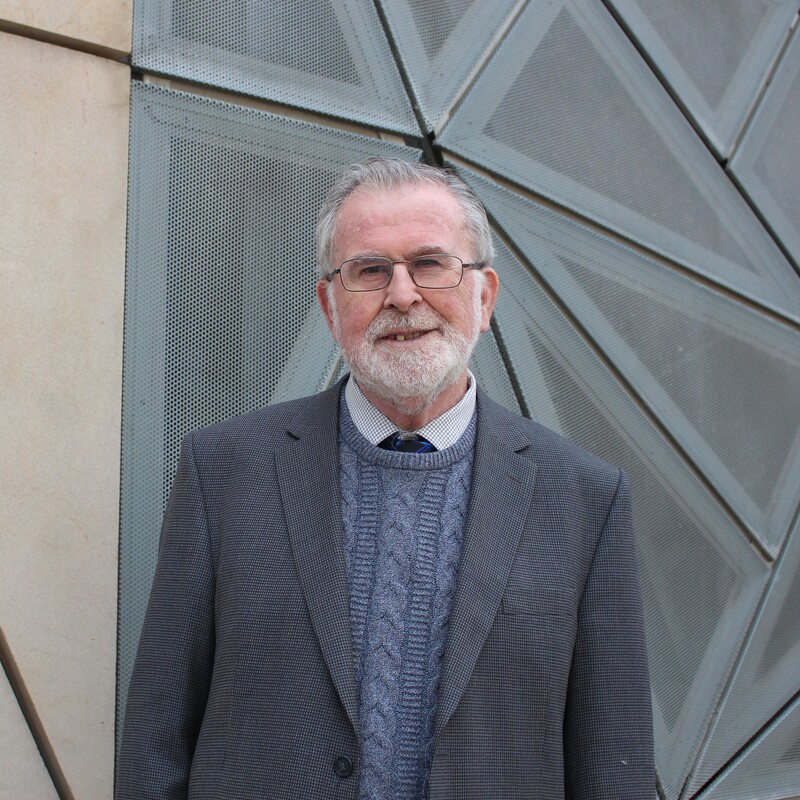 Fr Malone taught theology at Yarra Theological Union for decades where he lectured on theology and the cinema. He is an author of more than a dozen books, including Screen Jesus and Screen Priests. He edited the theological journal Compass from 1972-1998. He has been a member of the Catholic, Ecumenical and Interfaith Juries at International Film Festivals such as Cannes, Venice, Berlin as well as in Asia, Africa, and the Americas. 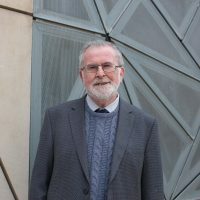 He was awarded an honorary doctorate in theology by Australia’s oldest theological institution, the Melbourne College of Divinity (now the University of Divinity). Fr Malone’s dedication and life achievements will be recognised at a special function hosted by Australia’s bishops later this year at the November plenary. Fr Malone’s life story could easily be the subject of a feature film. Growing up in suburban Sydney, young Peter and his brother, Philip, lost their mother at a tender age. Their carer, a Mrs Adams who was particularly fond of film, instilled in him a love of cinema that has spanned over five decades and around the world. So began his dedication to assessing and reviewing humanity’s moving stories – some inspiring, some not so much, movies with strong messages of faith, love and every other emotion that speaks of the human condition. “We grew up in Sydney, but after our mother died we went to schools in Bowral,” he explained. “They used to show films at the school and in secondary school. I helped to choose them and project them. I also had a love of reading. A fount of knowledge, Fr Peter can rattle off a plethora of movie trivia like the letter which most films start with S, followed by M.
“There’s no rhyme or reason for it – it’s just one of those systematic things,” he laughed. A favourite comedy – Some Like It Hot or What’s Up Doc. Favourite drama? The Third Man or Lawrence of Arabia. Favourite Australian film: The Chant of Billy Blacksmith, Gallipoli and Muriel’s Wedding; “I think I could watch Muriel’s Wedding over and over again,” he says. Moving on to his favourite actor? “Sidney Poitier in To Sir With Love – I remember he appeared in 1967 in three films – he was very much a part of our change in consciousness about African-Americans on screen. Over the years, Fr Malone has watched with interest the emergence of a strong Australian film industry. Cate Blanchett is one of his favourite Australian actors. “It was in 1972 that things started to happen with Bruce Beresford’s Adventures of Barry McKenzie, then in 1975 Peter Weir’s Picnic at Hanging Rock and Ken Hannam’s Sunday Too Far Away. “By the mid-1970s, it (Australia’s film industry) was amazing. We’ve had our ups and downs but there has been a constant pressure,” he said. These are collated at his website: http://petermalone.misacor.org.au/tiki-index.php. “I do admire the craft of the past, but the possibilities these days with digital and even the use of phone cameras and with film are outstanding,” he said. Fr Malone’s favourite movie for 2018 is BlacKkKlansman, directed by Spike Lee. The drama and true story is about an African American policeman in Colorado Springs who had the bright idea of infiltrating the Ku Klux Klan. “He did it only over the phone and his partner, who was Jewish, was white and he went to the meetings so the two of them combined,” Fr Malone explained. When reviewing films, Fr Malone looks at the human values in the story to enable dialogue with other churches – these human values are Gospel values as well. Fr Malone has just completed an 800-page academic book – Screen Priests – which he hopes to have published next year. Below is a selection. This entry was posted in Uncategorized on September 7, 2018 by ACBC Communications.